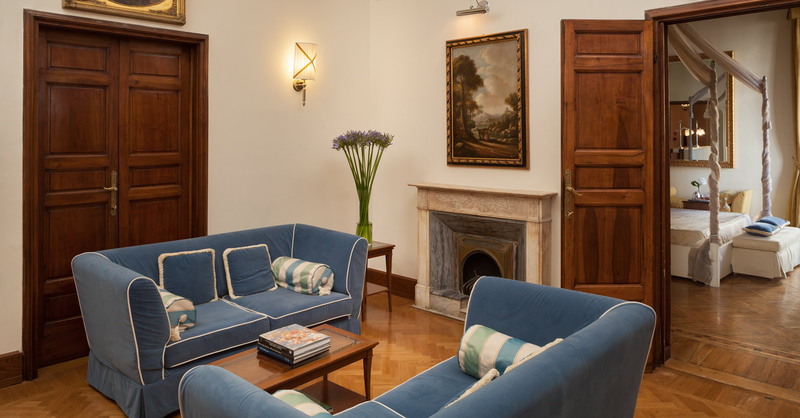 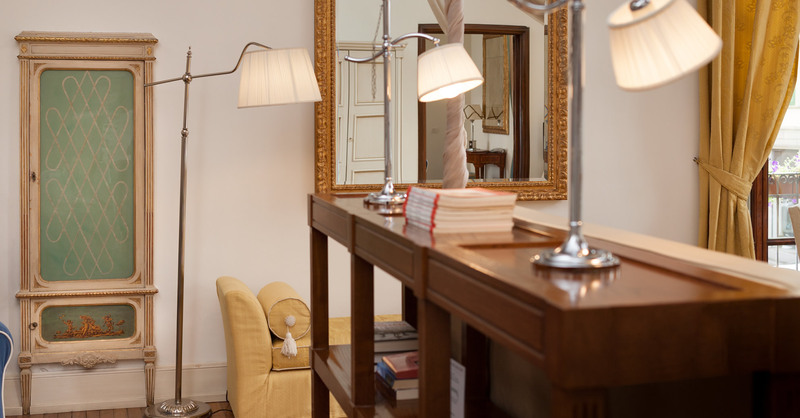 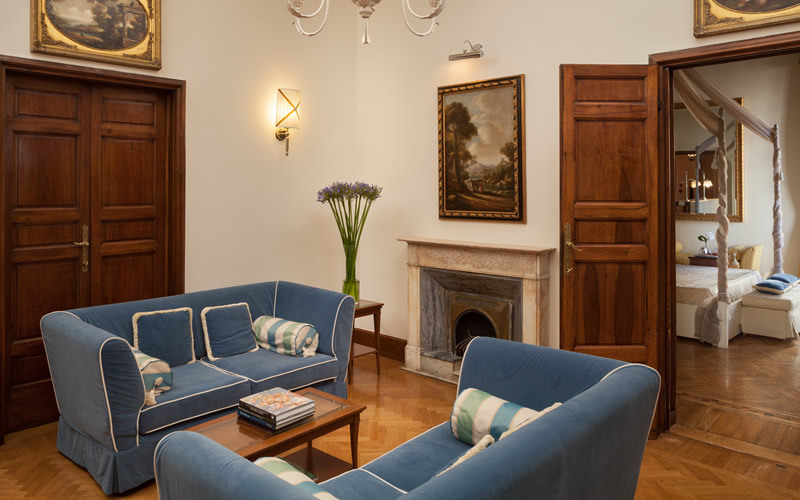 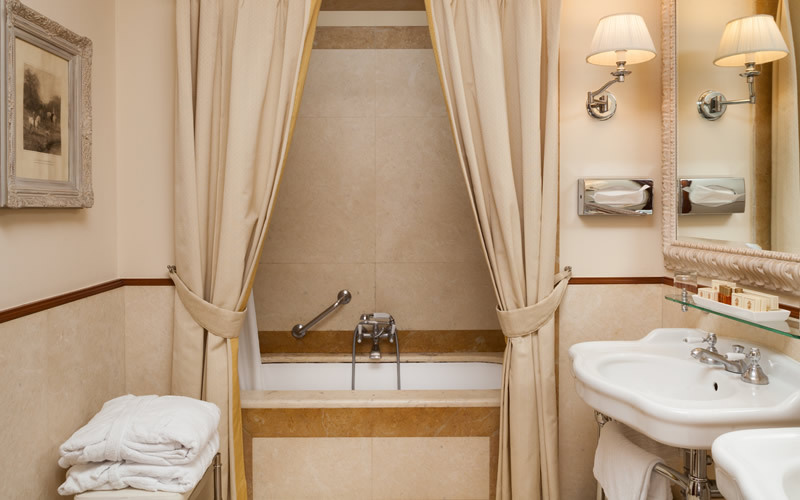 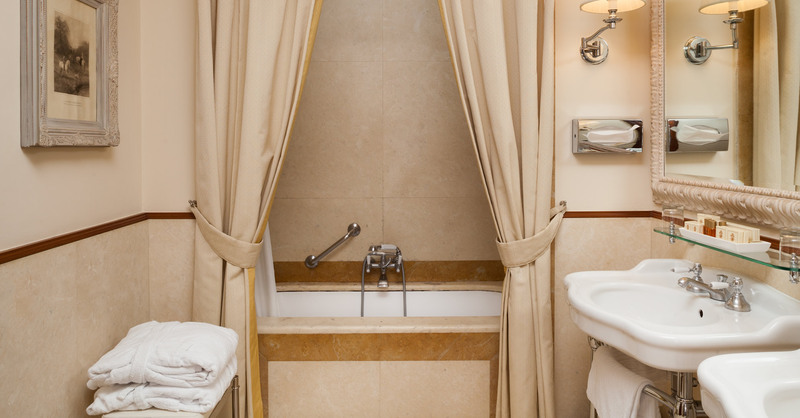 The "Granduca Suite" was originally a wooden construction built by Granduca di Toscana. 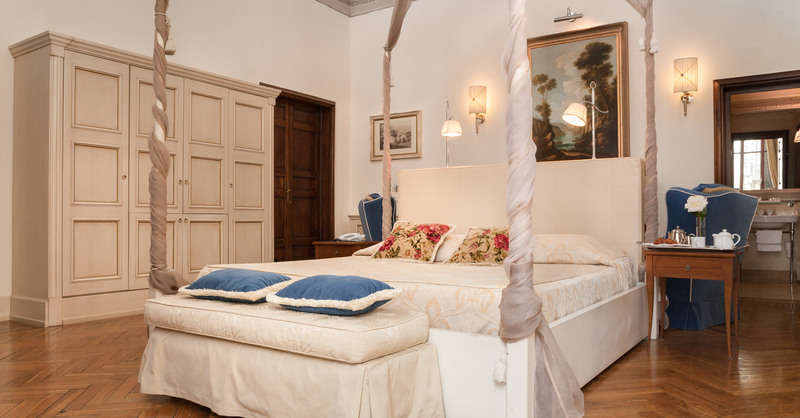 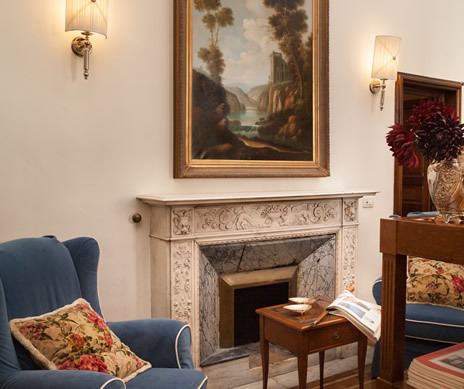 Two original marble fireplaces, three balconies with view on Via il Prato and Via Curtatone, a large sitting room, and a beautiful baldacchino king size bed right in the middle of the bedroom; all this makes this accommodation your Florence dream. 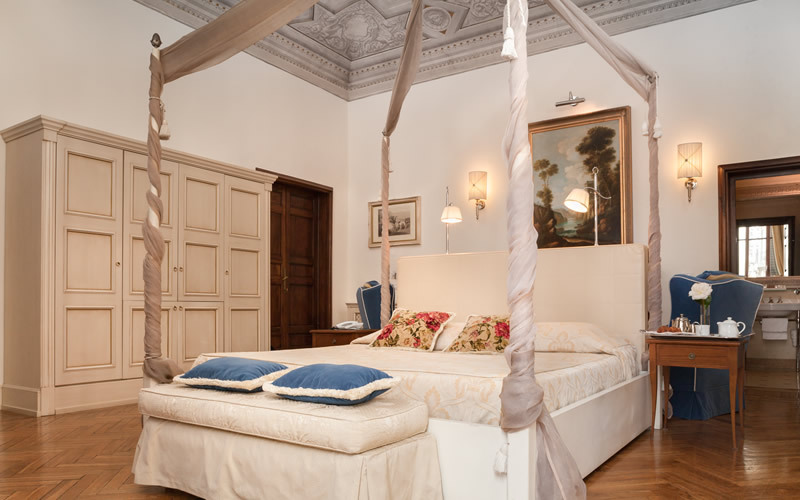 The ceilings have original 18th century fresco works painted by the famous Luigi Ademollo.